Beautiful wooden box, handmade in Montreal, filled with a selection of our best chocolate products. May contain traces of nuts, milk, gluten, egg, mustard, peanut, soy and sesame seeds. 4 boxes during the years for celebrate : Christmas, Valentine's Day, Easter and your curtomized date. 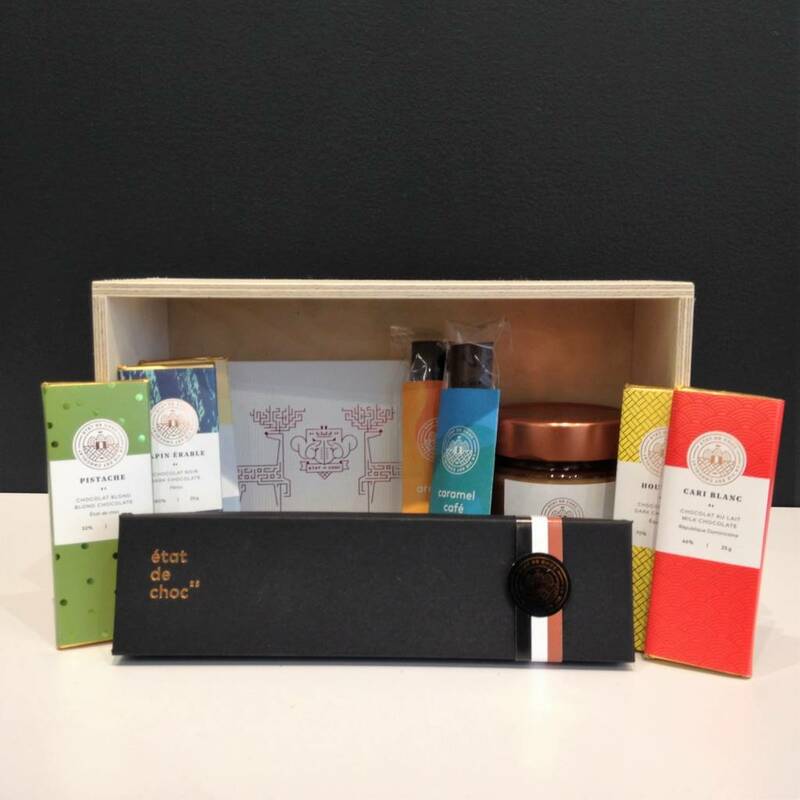 A smart black box with 6 of our best mini-bars and one gourmand bar, is the perfect gift!